Update, September 16: Embattled Youtuber PewDiePie has released a video statement regarding Campo Santo’s recent DMCA takedown notice. Now that the initial flurry of debate as to whether it was within their legal rights has died down, Youtuber PewDiePie released an official video statement (see above) giving his thoughts on Campo Santo’s decision to issue a DMCA takedown notice on his Let’s Play of their game, Firewatch. On the very same day as issuing this statement, PewDiePie had to cut himself off during a Battlegrounds stream after almost repeating the word that had landed him in so much hot water just last week, and just one day after issuing an apology for it. In the clip below, he sheepishly comments “Took one day for me to almost slip up”. Update, September 13:The use of a DMCA takedown notice against PewDiePie by the developers of Firewatch is completely legal. Campo Santo, the developers of Firewatch, were completely within their rights when they issued PewDiePie with a DMCA takedown notice. The notice required the YouTuber to take down his Let’s Play video of the game, which is no longer live on YouTube. The DMCA, or Digital Millennium Copyright Act, is a United States copyright law, which is often used against YouTubers thought to be using intellectual property or creative content against the wishes of its creator. Nintendo, for example, regularly issue DMCA takedown notices against videos featuring their games. Under the DMCA, YouTube themselves are not responsible for copyright infringements committed on their platform, assuming they act quickly to remove potentially-infringing material when a copyright holder issues a complaint. All that said, Campo Santo’s use of the DMCA in this case is perhaps a little strange. The reason for their claim is not that PewDiePie was using the game unfairly or illegally, but because they objected to his behaviour, and that they had also likely profited from his video through the increased sales of the game it probably incited. They also had to deal with the slightly tricky issue of a notice issued on the Firewatch website suggesting that anyone was free to play, stream, and make content from their game. On top of that, the notice on the Firewatch website is neither legally binding, nor non-revocable, according to Ryan Morrison, co-founder of Morrison & Lee LLP, a law firm specialising in video games, YouTube, and Intellectual property, among other things. In another interview with PC Gamer, Morrison says “”If a license doesn’t say ‘non-revocable,’ you can revoke it anytime you want.” This means that it wouldn’t hold up in court, and there’s nothing to say Campo Santo can’t change their mind about who is and is not allowed to make content including their game. Much of this is actually a moot point, as PewDiePie seemed to take down his Firewatch video himself, before YouTube or Campo Santo could get to it. However, the takeaway here is that Campo Santo’s use of the DMCA notice is entirely legal, even if they never issue another similar notice ever again. PewDiePie could take Campo Santo to court over the ruling, but Morrison tweeted to say he “can’t imagine any judge” would rule in favour of the Youtuber “under current law,” and the case would likely cost several hundred thousand dollars. For a full summary of the legal situation in its entirety, Morrison put together a podcast on the issue, which you can check out below. Update, September 12:PewDiePie has issued an official statement in response to his recent use of racist language while live on stream. In the short video, he apologises for his language. He continues by saying “I’m disappointed in myself, because it seems like I’ve learned nothing from all these past controversies,” referencing a previous anti-semitic incident which saw him lose his partnership with Disney. He ends the video by saying “I’m really sorry if I offended, hurt, or disappointed anyone with all of this. I owe it to my audience, and to myself, to do better than this. I really want to improve myself, not just for me, but for anyone who looks up to me.” You can see the entire video above. Meanwhile, people are review-bombing Firewatch after the game’s developers said they were filing a DMCA complaint against Pewdiepie in response to his language. There have been a number of negative reviews posted on the game’s Steam page since the announcement from co-director Sean Vanaman on September 10, many of which reference the studio’s decision. Original story, September 11:Felix Kjellberg, aka PewDiePie, one of the most popular YouTube personalities in the world, has come under fire for the use of racist language on his stream. 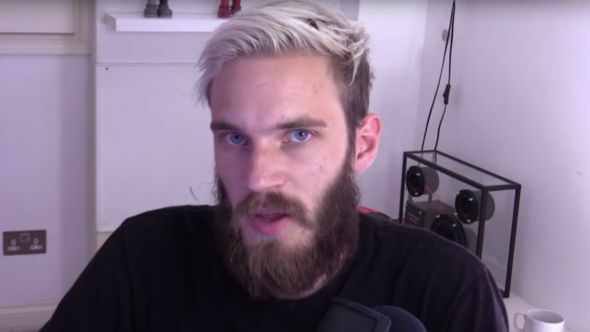 His use of the n-word has received widespread condemnation, culminating in Campo Santo, the developers of Firewatch, filing a DMCA complaint against Kjellberg’s Let’s Play video of their game. The incident occurred last night while Kjellberg was streaming PlayerUnknown’s Battlegrounds. During the stream, while referring to another player, he said: “What a f***ing n*****! Geez! Oh my god! What the f***? Sorry, but what the f***?” Later in the stream, he uses the n-word again, prompted by idubbbz, another popular YouTuber. Who actually owns the content of a Let’s Play is something of a legal grey area, but Kjellberg’s Firewatch video, which had over 5.7 million views, has now been taken down. Whether that’s as a result of a DMCA notice or a pre-emptive action by Kjellberg is not yet known, but it looks as though it’s probably the latter. This isn’t the first time Kjellberg has come under fire for racism. Earlier this year, he was dropped by Google and Disney for making anti-semitic jokes, and has previously used similarly racist language in another of his videos.